The SideKicks Freestyle products offer a complete solution for in-office dispensing. 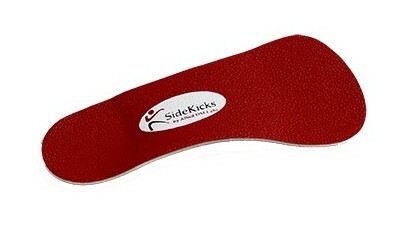 This product line was designed with the same quality of Allied OSI Lab’s custom orthotics. They are manufactured in bulk to keep prices competitive. Freestyle Casual Features: 1/8” semi-flexible Triton shell (comparable to popular thermoplastics) and a full or sulcus length top cover with 1/8” EVA. You can choose between a 4 degree varus extrinsic rearfoot post or non-posted rearfoot. An hour glass shape and a hole in the center of the heel filled with Poron offers better shoe fit. A suede bottom cover protects the forefoot. The Freestyle Casual is good for everyday use. It is designed for mens or women’s casual dress shoes. Treatment for plantar fasciitis or heel pain.